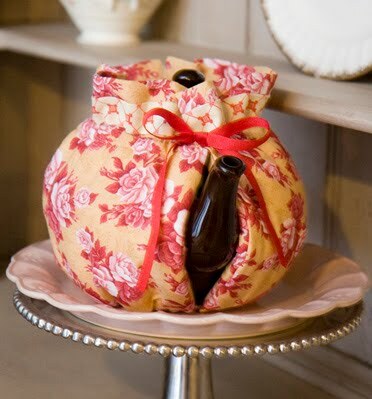 I just finished another tea cosy! I made this one from thrifted fabric, and insulated it with a layer of poly batting sandwiched between 2 layers of fleece. This one will not be going to the Shop. I made it as a gift, but I’ll probably make another at some point because I really do love the warmth of this color scheme. I feel like lately all I write about is tea cosies and thrift shopping, but I promise it’s about to get bit more interesting around here! 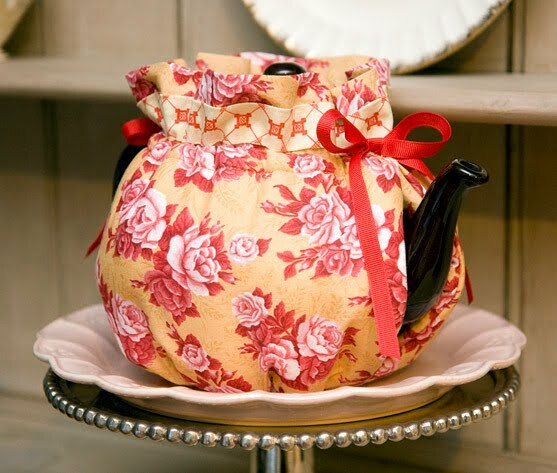 Hi – I’d love to have a pattern/guidelines as to how you made your tea cozy. Pleeeeaaase… I have lots of fabric from the ’30.s.